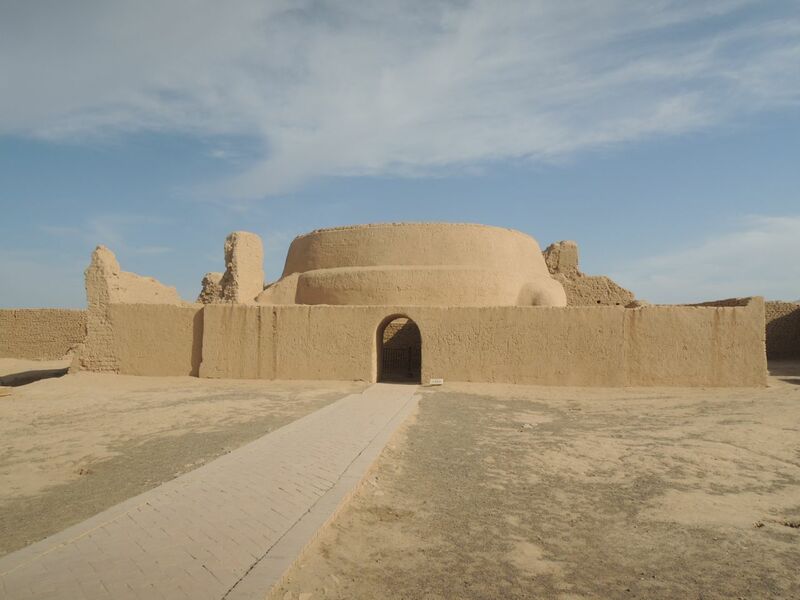 Another deserted city is the Gaochang Ruins, about 30 kilometres southeast of Turpan located on the edge of the Taklamakan Desert. 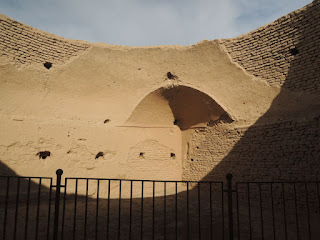 From the remaining architecture, the place looked pretty sophisticated with buttressed walls and arches, and had temples too. It was originally built as a garrison town in 100 BC and was a key point along the Silk Road because travelers could stop here for food and water. By the 14th century, it was severely damaged from wars between Mongolians and Uyghurs, and as a result Gaochang was eventually abandoned. But some of the buildings still stand and look in pretty good condition, making one wonder what life was like back then. Gaochang was also known as a sanctuary of culture. The Buddhist monk Xuanzhaung, came here on his way to India and taught Buddhism -- we were even shown the room where he gave his lessons. There were also residents who were Christian and Manicheans, a religion based on good and evil from Iran. 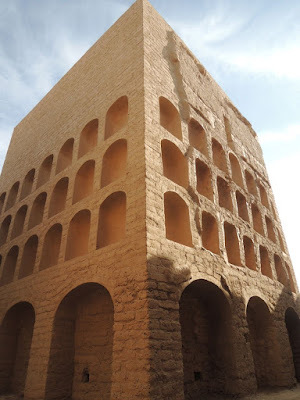 We got to not only see these ruins, but also some tombs down below. 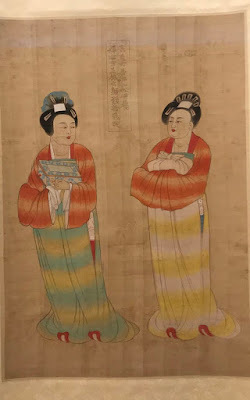 One or two had Chinese calligraphy or paintings that looked detailed, featuring portraits of people. It's quite amazing that these items are well preserved and that no one has stolen them yet.